The source for information relating to CCV sailboat racing and related activities. 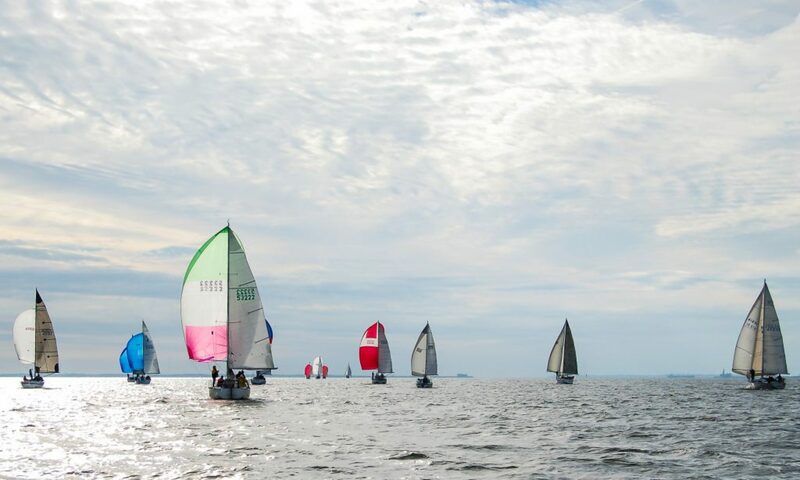 CCV Racing is a southern Chesapeake Bay sailing organization that offers a full season of sailing programs which includes racing, workshops, and social activities. CCV membership is open to any sailing enthusiast who has a genuine interest in the sport and pleasure of sailing in any capacity, be it cruising, racing, crewing, or race committee participant. This is a reminder that the SBRW early bird registration deadline is coming up soon on April 30th. Race committee clinic is this Saturday March 9th at the HYC, 9am to 12pm!Register/pay here(last item). This years spring kickoff meeting will be held on March 26th 6pm at HYC! You will receive the year book and another opportunity to register as member in case you have not already. You can also register and pay online here. Racing Membership (skippers), Distance Series Membership (skippers) and Club Membership. All members receive a CCV book which contains the CCV Constitution and Bylaws, Sailing Instructions, racing schedules, racing circular for each race, and the membership listing. Racing Membership ($160 for USSA members / $180 for non-USSA members) is intended for skippers who race frequently and wish to receive a savings by paying entry fees in advance. Racing Membership covers all the CCV races except the Old Point Race which is a part of the Black Seal Cup and SSOR (Summer Solstice Ocean Race). Except for the entry fees for these two events, no other entry fees are required. Additionally, since the Racing Membership form serves as the entry form for all CCV races, entering races could not be easier! Distance Series Membership ($85 for USSA members / $100 for non-USSA members) Distance Series Membership is intended for skippers that are participating in the Southern Bay Distance Series. This membership covers the Spring Series Day 2 (Race 3), Moonlight Triangle, Founders and Fall Series Day 2 (Race 3). Similar to the standard Racing Membership, Distance Series Membership includes serves as the entry form for the above races. Club Membership ($40) Club Membership is for skippers who wish to pay by the race and for individuals and crew who want to be a part of the action. Club Members submit entry fees and forms by the race. You can sign up online HERE or download the Membership application HERE. NOTE: Application is in MS Word format. If you need an MS Word reader one is available for free at THIS website. CCV Board members are dedicated to providing members with a positive sailing experience; however, they rely on feedback from the membership. If you have comments or suggestions, please send them an email.